Alaska Birch bears close resemblance to our native Paper Birch but is a much smaller tree of only 20-40 feet at maturity. 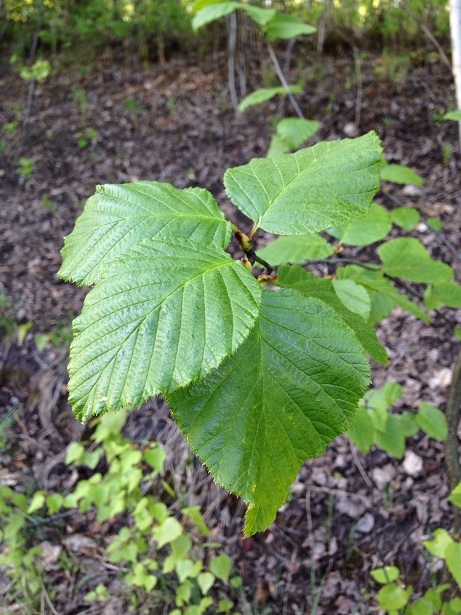 It is often multi-stemmed and has the same peeling white to tan bark so loved among the birch family. This as an extremely cold hardy tree that grows wild in Alaska and western Canada, USDA zones 1-8. Expect the typical heart shaped strongly toothed leaves and dangling male and female catkins each spring followed later by a winged nutlet or seed. 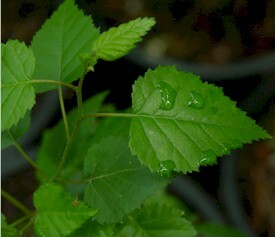 The characteristic that distinguish Alaska Birch from other birches is the resin dots that can be found on the under sides of the leaves and on the twigs. The resin contains a disinfectant zylitol and in ancient times was chewed like gum. Birch bark was used as paper for writing and for building canoes and making baskets. Light colored birch wood is used today for furniture and cabinetry. 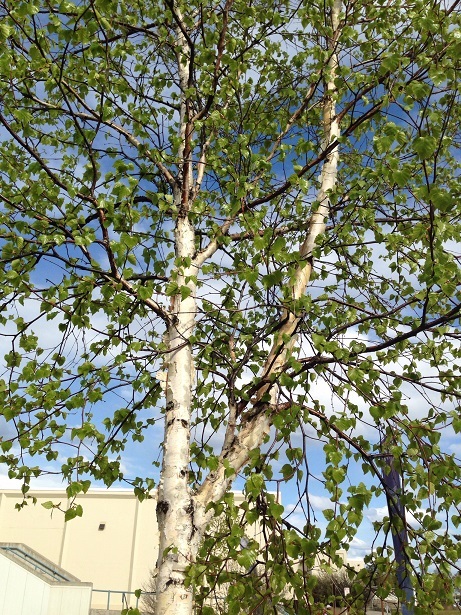 Birches can not be rivaled for their white bark and this one will fit into even the smallest landscape.